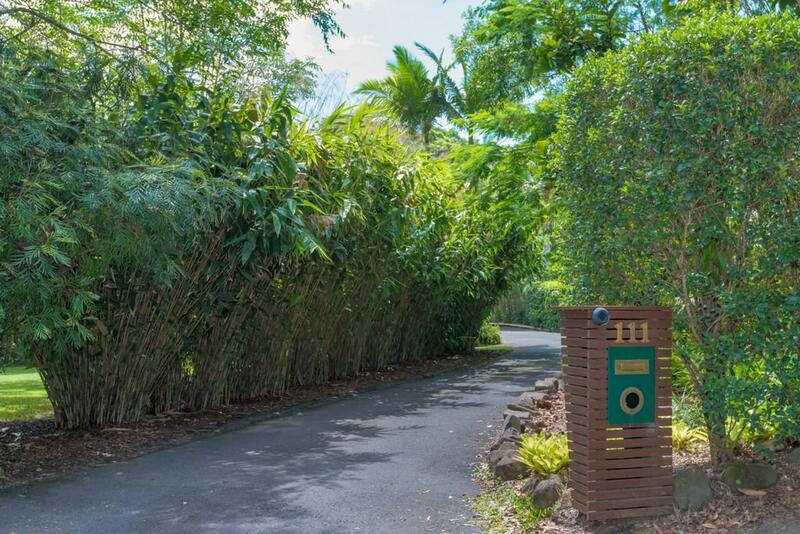 Here is a home with everything you could possibly wish for....a large, lavishly appointed 4-5 bedroom house with elegant all-white interiors, high ceilings, handsome bespoke doors and long, gracious verandahs that open onto 5919m2 of lush rainforest gardens. 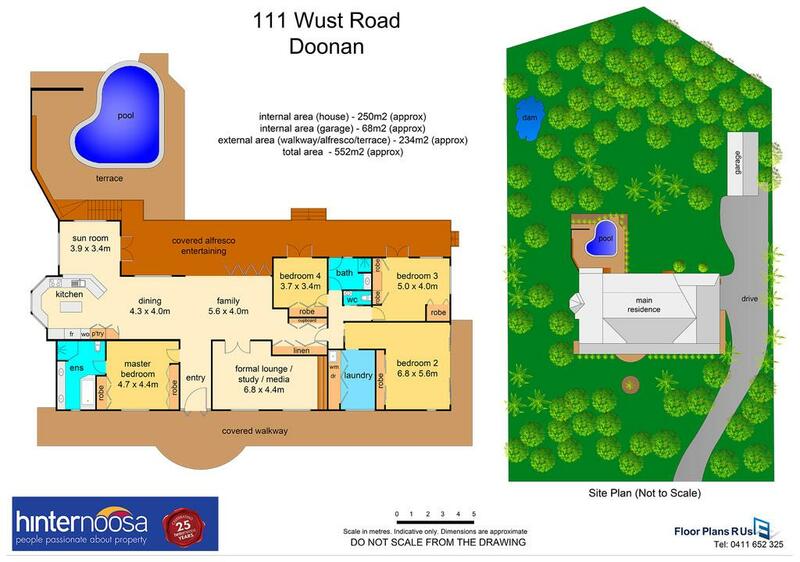 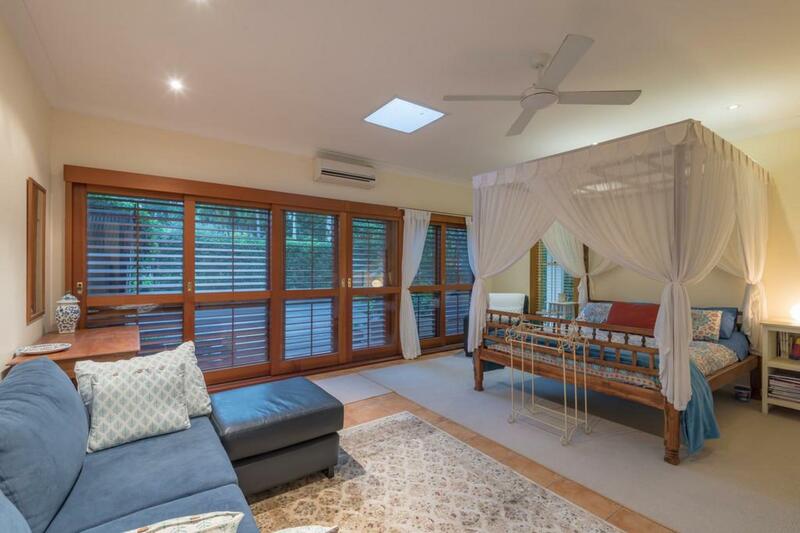 At 111 Wust Road, Doonan, you will find privacy, comfort and brilliant dual living potential thanks to a guest wing that can be cleverly closed off from the main residence to form either a one or three-bedroom apartment with external access. 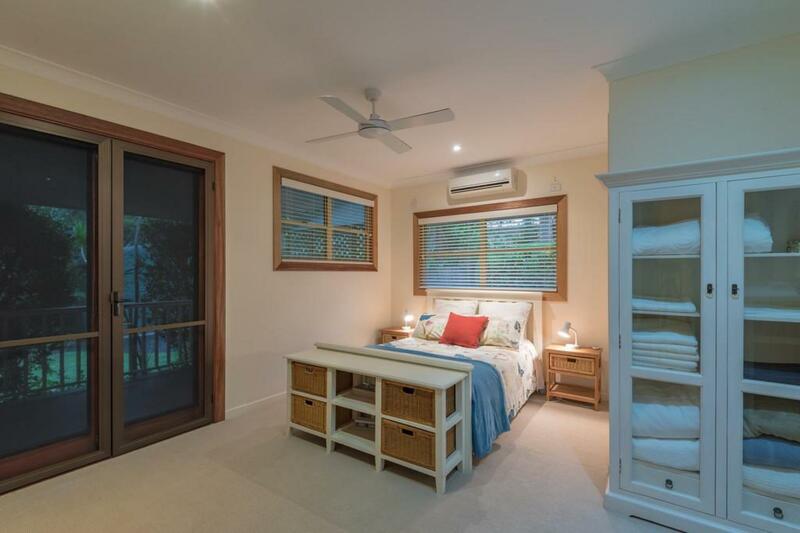 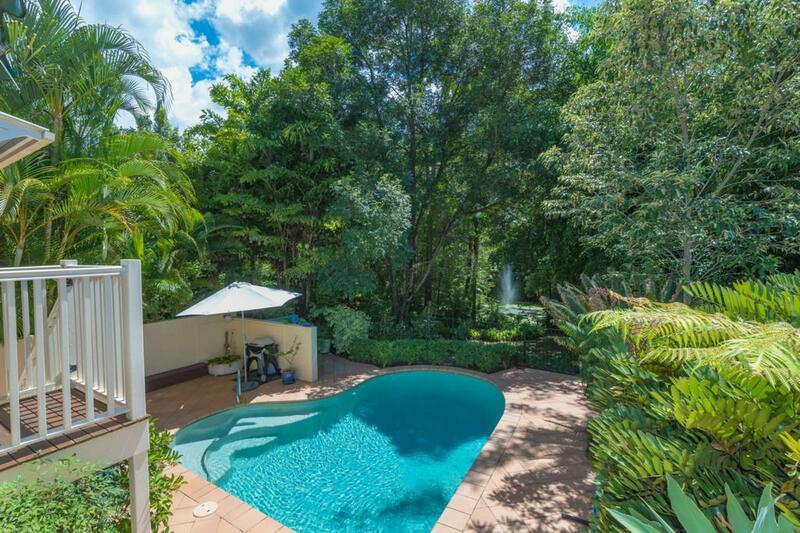 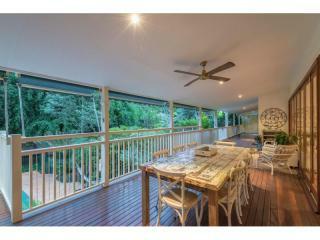 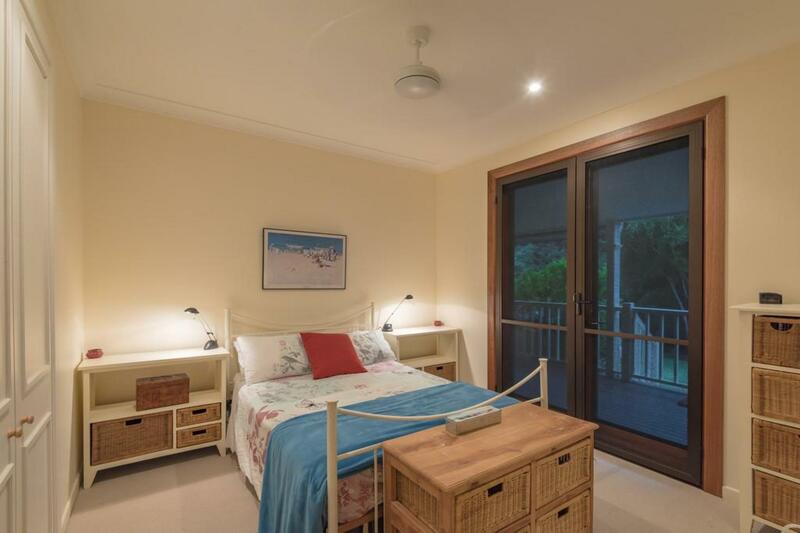 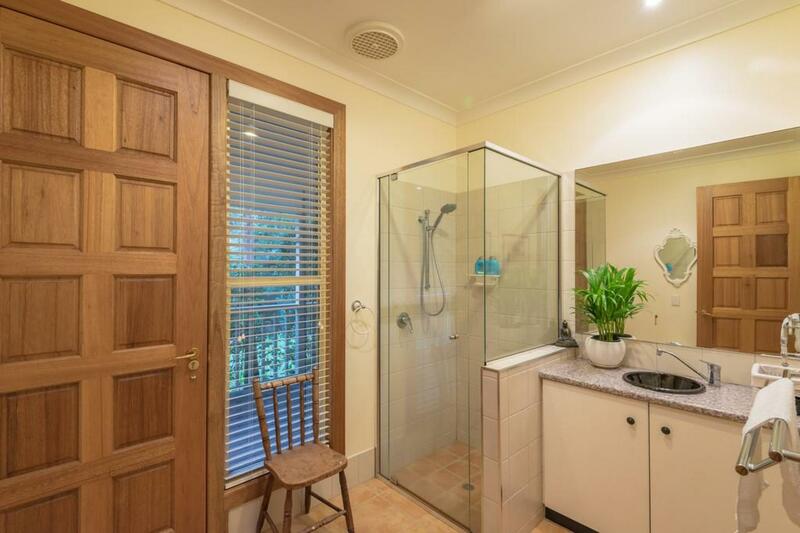 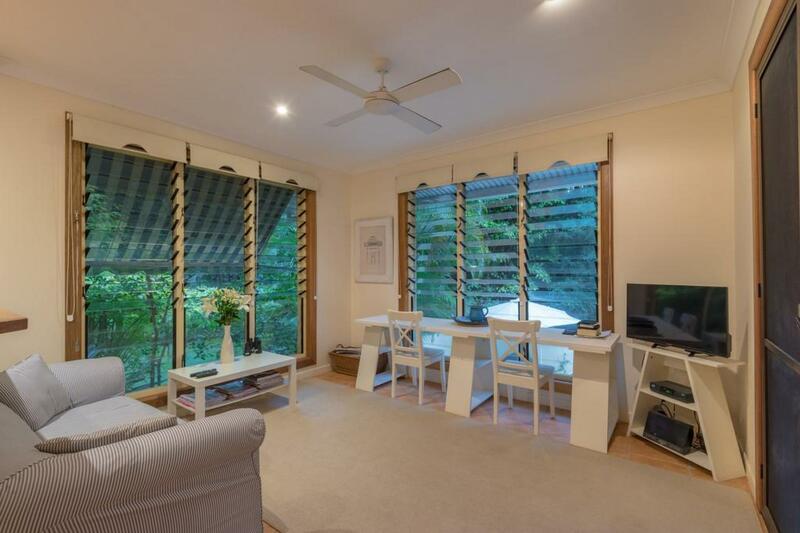 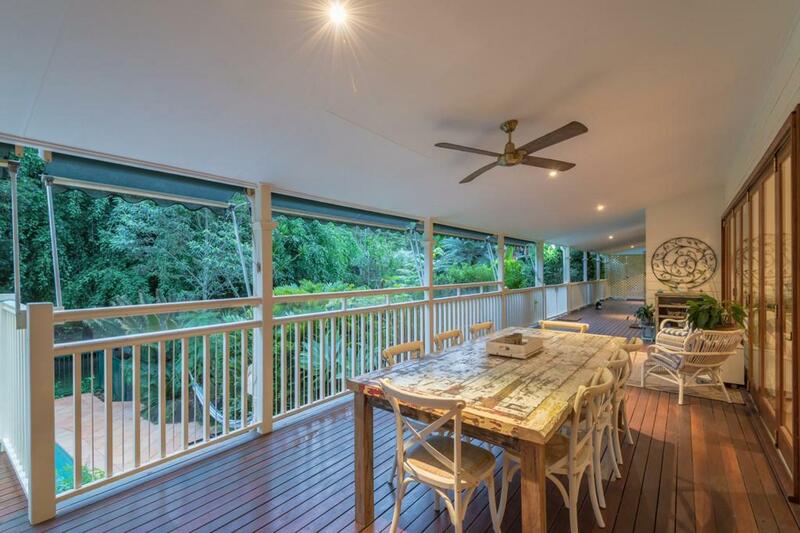 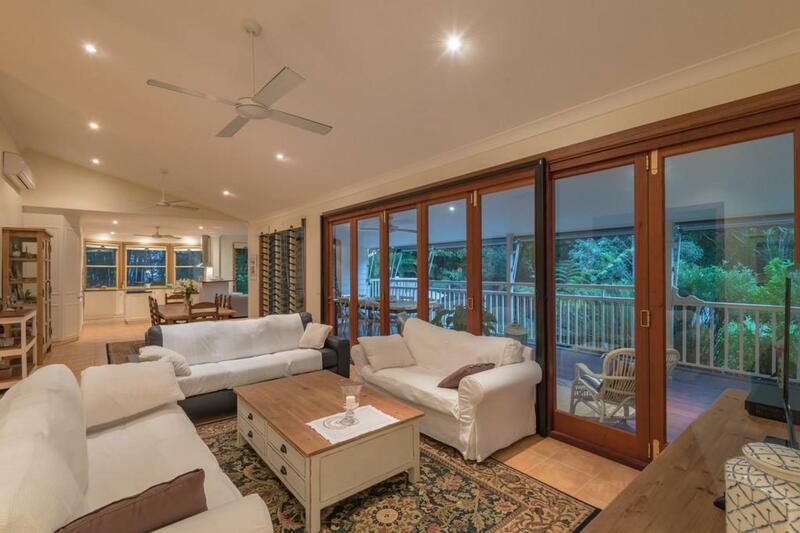 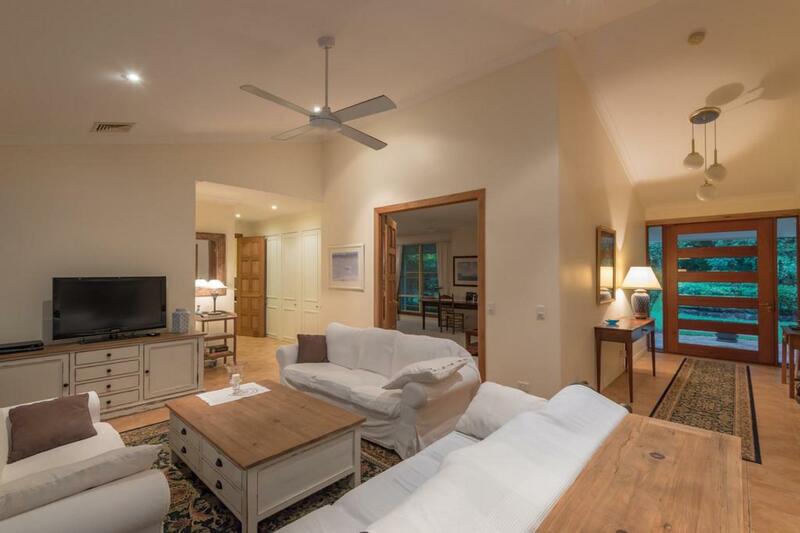 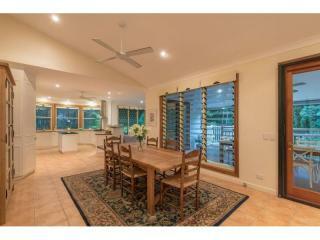 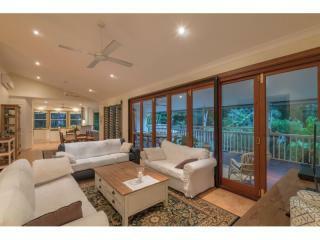 This flexible floor plan transforms a single level, quality home - located in one of the most popular, prestigious parts of the Noosa Hinterland - into a luxury living environment for couples, multi-generation families with teens and ageing parents, and, those looking for extra income from rental or AirBnB. 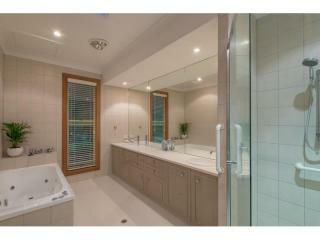 See it and fall in love. 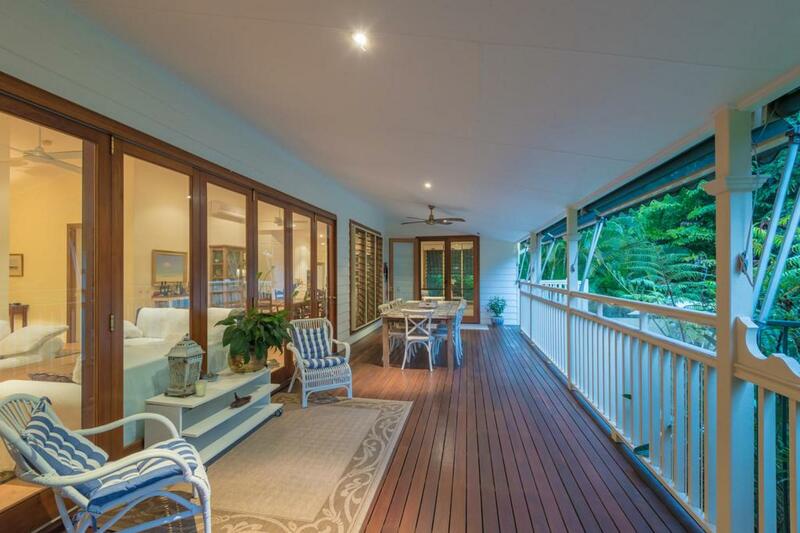 A double-width, pivoting front door fashioned from bevelled glass and timber ushers visitors into a generous hallway. 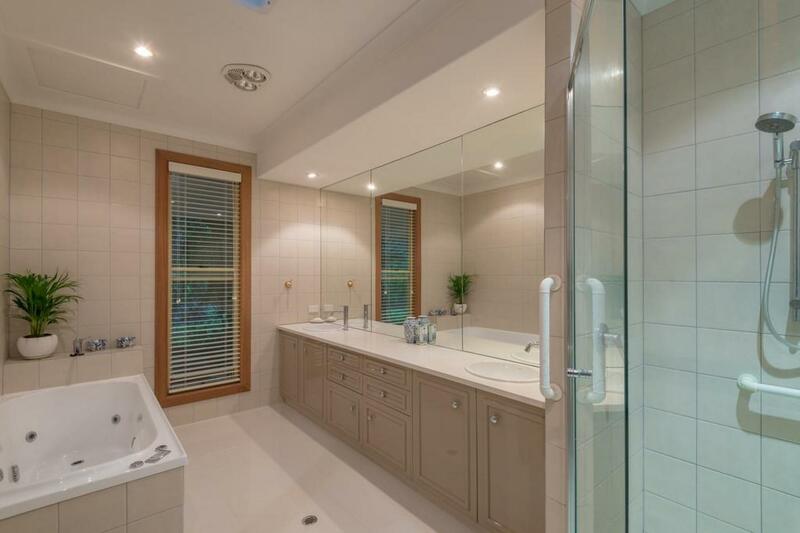 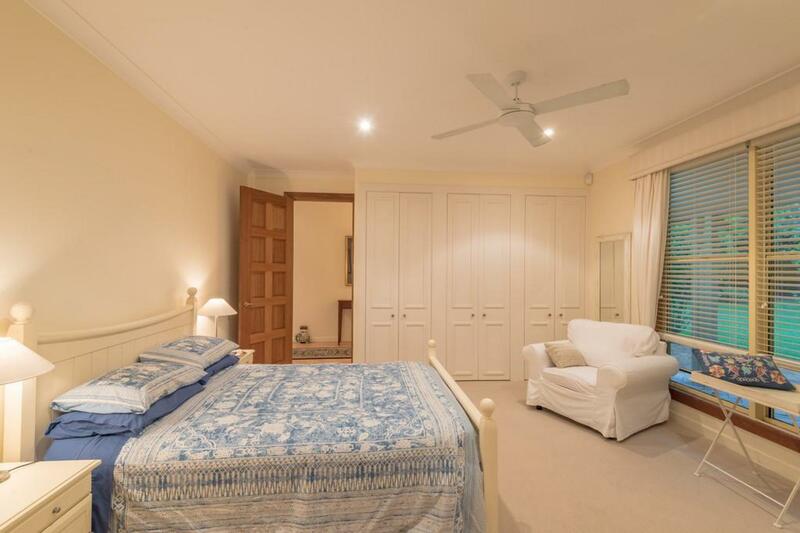 To the left is a magnificently proportioned master suite with double height doors; his and her wardrobes, RC aircon and large ensuite bathroom with double vanity, spa bath and separate corner shower. 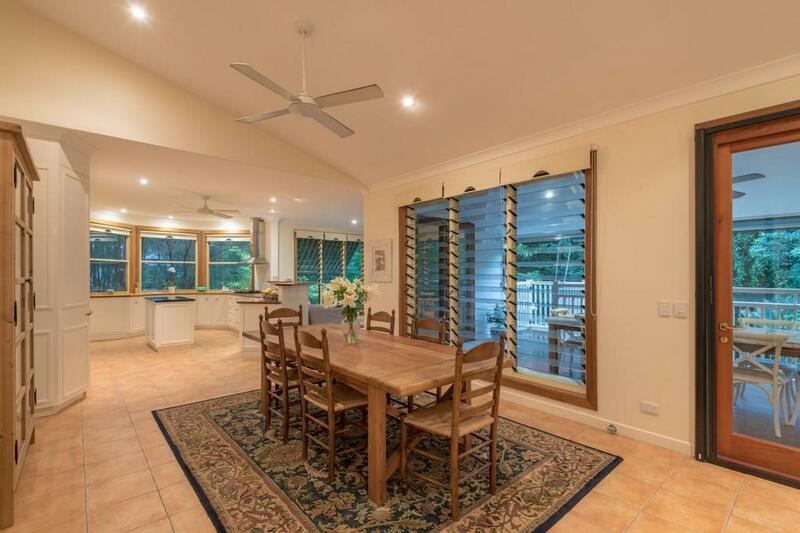 Straight ahead lies the informal, open plan lounge/dining room with its vaulted ceiling, terracotta tiled floor and timber and glass stacker doors that roll back to reveal a long verandah, flower-draped arbour and rainforest garden with its beautiful dam and tinkling fountain. 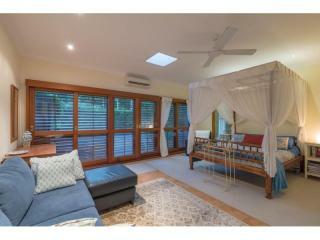 Another more formal sitting room/media room lies off the lounge concealed behind impressive hand-made doors. 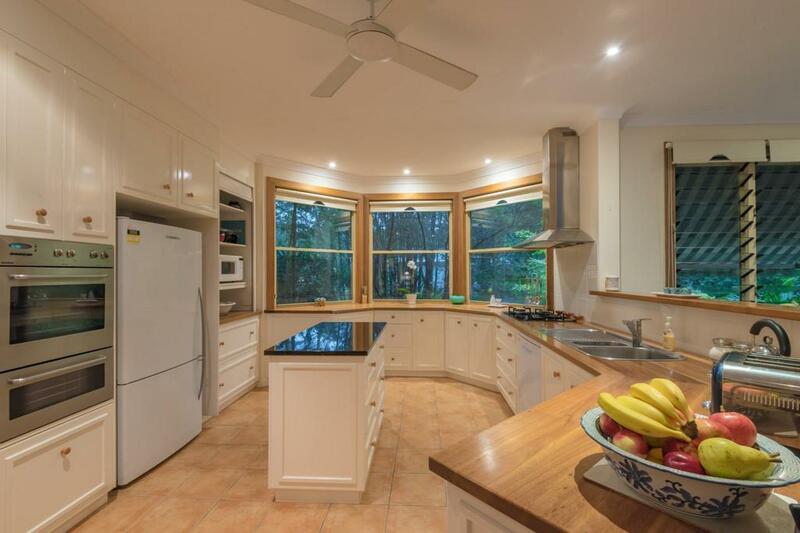 Keen cooks will love the spacious, well-designed kitchen with its bay window, granite island bench, step-in pantry, wall ovens, double sink and enviable array of storage cupboards and drawers. 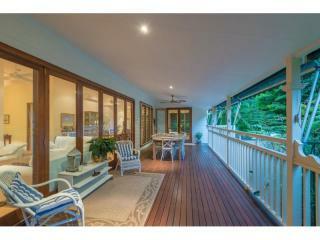 Next to it, a breezy sunroom offers a place to relax and view the saltwater lagoon pool. 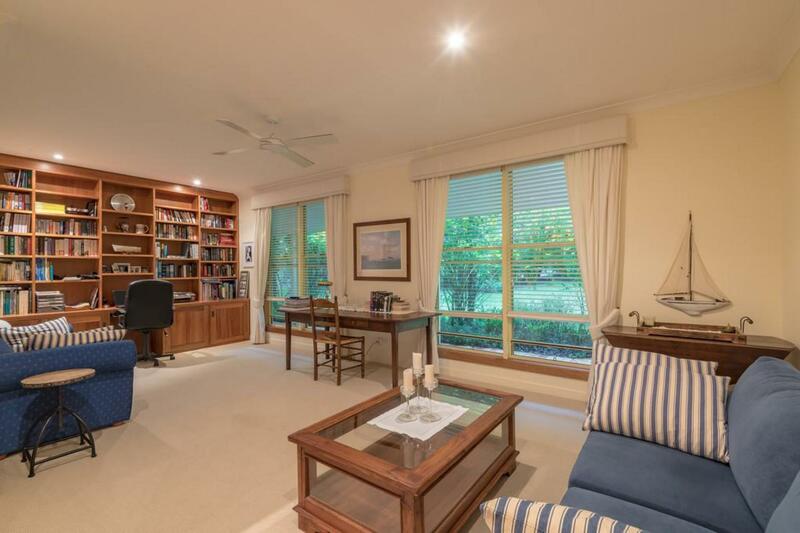 At the opposite end of the house is the private guest wing with three bedrooms (double, queen and master or bed sitter) plus a family bathroom, powder room and laundry. 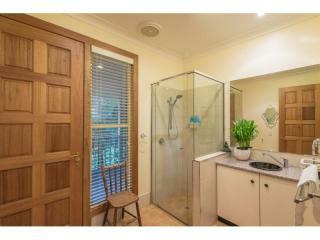 Close one door and it becomes a three-bedroom apartment. 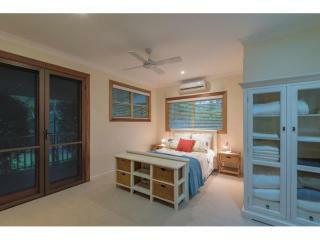 Close another and it converts easily into a self-contained single apartment. 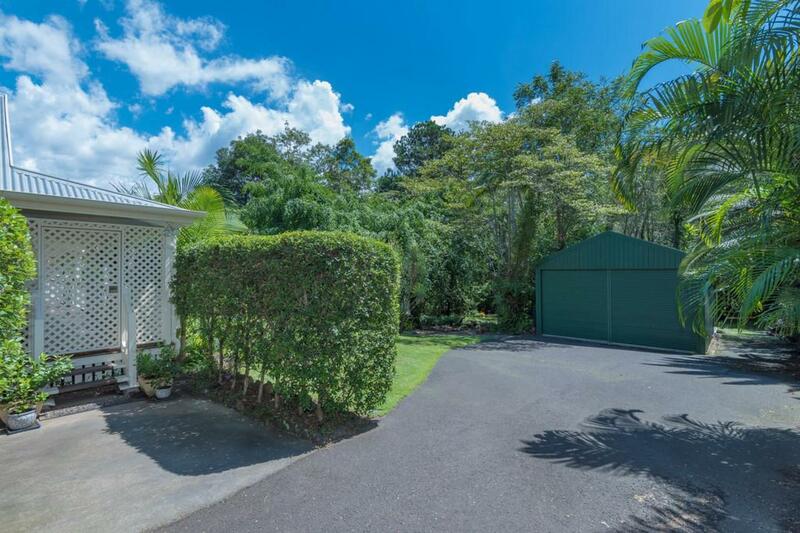 A powered two bay shed provides parking for four cars or caravan/boat combo. 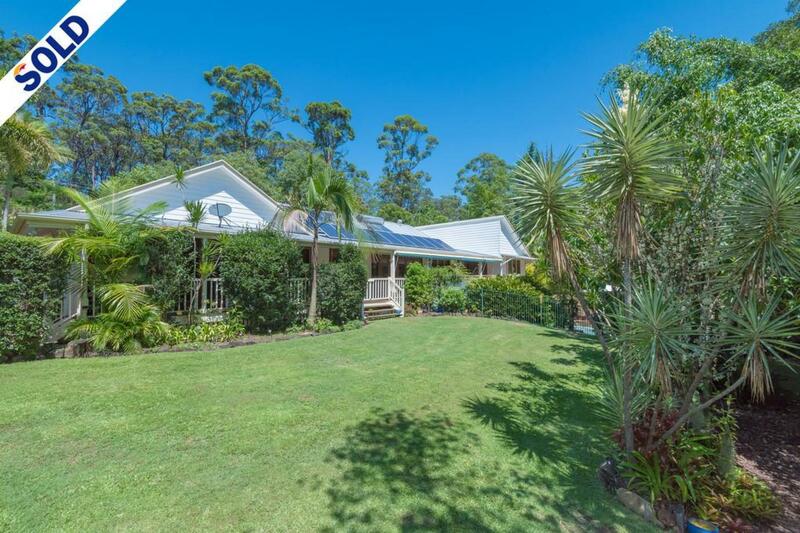 There is 5kw solar system (feeds back to the grid) and separate solar hot water; provision to heat the pool; a reticulated water system, 2 x 19,000 litre tanks and a drinkable bore. 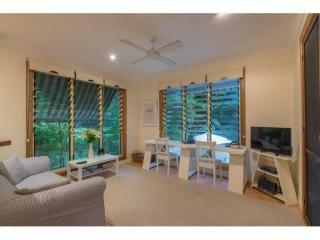 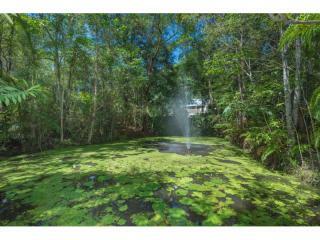 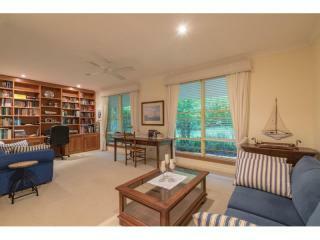 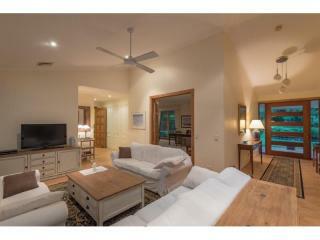 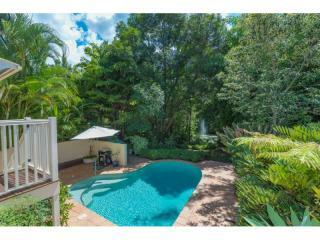 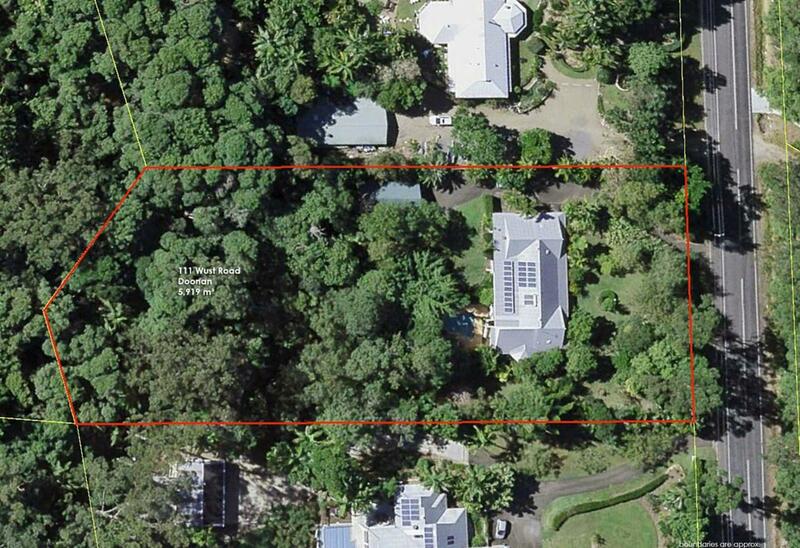 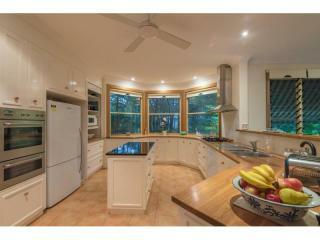 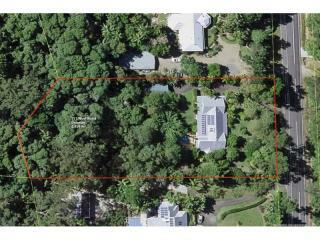 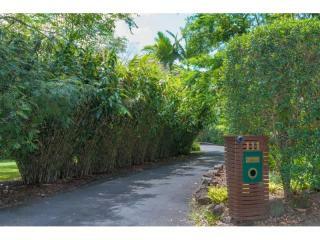 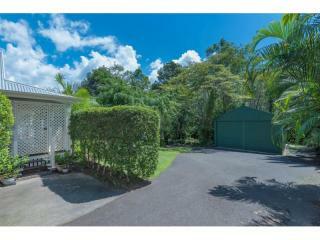 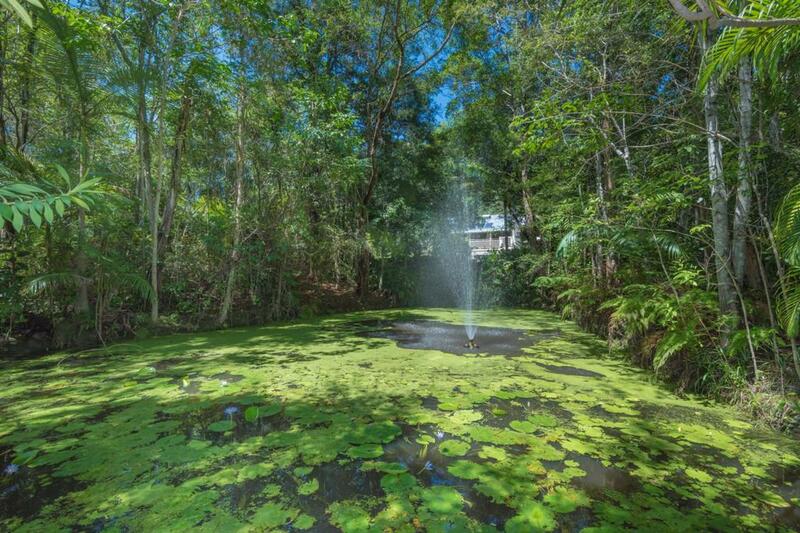 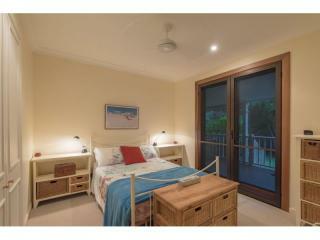 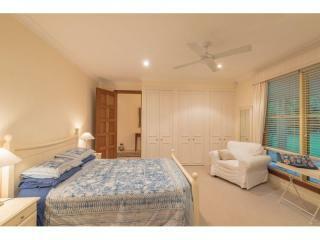 The property has an alarm system and is bounded by a creek and nature reserve. 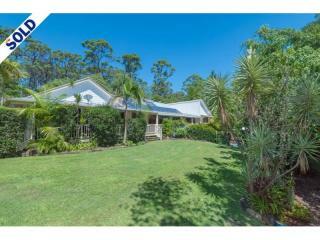 Noosa and its many delights are but 20 minutes away.